Gary leads ViaWest Group’s capital markets activity, overseeing the sourcing of debt and equity for the company’s various investment opportunities, including long-term programmatic and large-scale institutional investment partners. He also oversees the company’s emerging efforts in Opportunity Zone investing. Earlier at ViaWest, Gary managed the company's multi-family activities, where he oversaw the acquisition, conversion, and disposition of over 2,000 apartment units to condominiums for a national multifamily / condominium client. 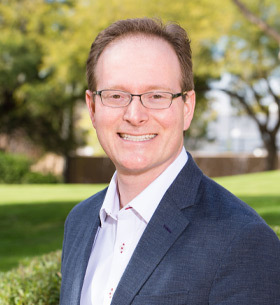 Prior to forming ViaWest, Gary was a long-time investor in real estate and was president of Grenfell Properties, focusing on commercial property acquisitions in Metropolitan Phoenix. His experience includes roles as a senior investment analyst for a hedge fund, the president and co-founder of a venture-funded technology company, and an associate consultant at Booz, Allen & Hamilton, in New York. Gary began his career in Tokyo, Japan with the Bridgestone Corporation, in a marketing and importing role for the company’s domestic Japan retail operations. Gary received a B.A. in Economics from Northwestern University, spent his Junior Year at Nanzan University in Nagoya, Japan, and earned an M.B.A. in Finance from The Wharton School of the University of Pennsylvania. Gary is fluent in Japanese and proficient in Spanish. 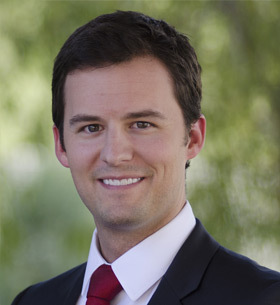 He is currently active in the Arizona Chapter of the Young Presidents Organization (YPO), served as the Vice Chair of the Executive Committee of the Arizona District Council of the Urban Land Institute (ULI) and recently concluded a term as Chairman of the ULI Small-Scale Development Council (Gold flight) national product council. Mr. Linhart holds Series 22, 63 and 65 securities licenses, is a member of FINRA, and oversees ViaWest’s securities compliance function. He resides in Phoenix, Arizona with his wife Julie and two sons. Steven leads the acquisition and development efforts for ViaWest, while directing certain operational areas and co-managing the investment strategy. He has over twenty-five years of experience in the development, operations and financing of all types of real estate, with deep experience in industrial and office properties. Through involvement in over $2 billion worth of projects, Steven has provided build-to-suit, speculative development, acquisitions, dispositions and property management services in multiple product types in the Southwest, Pacific Northwest, and Southeast U.S. 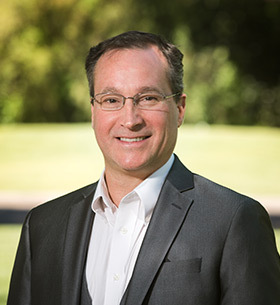 Prior to forming ViaWest Properties in 2003, Steven led the development as SVP of The Plaza Companies, a full service, medical-office, senior-living development, and property management company. Prior to joining Plaza, Steven rose through the ranks to become COO and EVP of The Hewson Company, a privately-held, real estate development company in the Western U.S. in which capacity he developed properties ranging from mid-rise office buildings to a 2.2MM s.f. industrial complex. Other work experience includes Real Estate Finance work with SunTrust Banks in Atlanta, GA.
Steven graduated from The University of Texas Honors Program with a B.A. with Honors in Marketing. He has served as Chairman of the National Association of Industrial and Office Properties (NAIOP) Arizona Chapter, on the National Board of Directors of NAIOP, and in national and local capacities with Urban Land Institute (ULI). 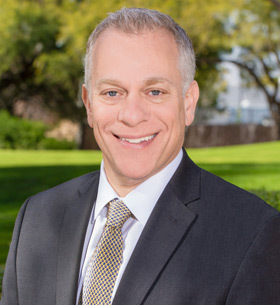 He also serves on numerous local and national boards and councils of non-profit philanthropic, civic and industry organizations including Greater Phoenix Leadership, Greater Phoenix Economic Council, as Board Chairman of the Jewish Community Association of Greater Phoenix and on the National Board of JFNA. He resides in Paradise Valley, Arizona with his wife Jennifer and three children. Danny is a Principal at ViaWest were he leads the leasing, asset management, and dispositions functions for the company. Additionally, he is involved with sourcing and negotiating prospective investments, as well as cultivating strategic relationships with select market participants. Danny is a member of the company’s investment committee and senior management committee. He has over 15 years’ experience working in senior management positions for both public and private real estate investment companies. Prior to joining ViaWest in 2011, Danny served as Vice President for two publicly-traded REITs: Parkway Properties and Pacific Office Properties. Danny has been involved with the acquisition/disposition, repositioning, and management of over $1.5 billion of commercial real estate transactions. As a former military officer, Danny also brings a wealth of operational and leadership experience. While in the Army, he served throughout Europe and the Americas for five years, achieving the rank of Captain. Danny is a graduate of The United States Military Academy at West Point, where he earned a Bachelor of Science degree in Economics. He subsequently received an MBA from Yale University. Danny serves on the board for NAIOP (AZ Chapter) and REIAC (Southwest) and actively participates in numerous civic and charity endeavors. In 2015, Danny was honored as one of the Phoenix Business Journal’s Forty-Under-40, a program saluting leaders in the community. Danny resides in Phoenix, Arizona with his wife Danielle, son Jack, and daughter Claire. 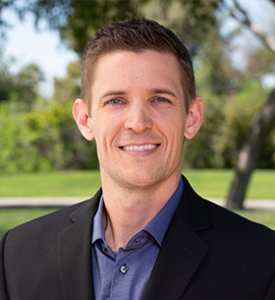 Based in Los Angeles, Chris serves as Market Leader focused on growth of the ViaWest platform across Southern California. In that capacity he leads all sourcing, strategic relationship building, and business development efforts for the California office. Prior to joining ViaWest in 2019, Chris was the Portfolio Oversight responsible for the opportunistic real estate private equity strategy at CIM Group, a fund manager focused on real estate and infrastructure investing. He also spent a number of years with CIM on the Investments team, focused on acquisition and asset management activity across property types and risk profiles. 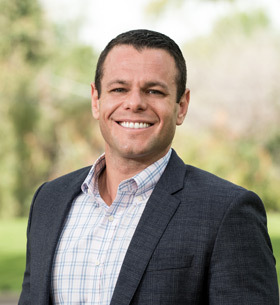 Before CIM Chris was a Director with AvalonBay Communities, Inc., a publicly traded real estate investment trust where he focused on land acquisitions and new development across Southern California. Earlier in his career, Chris had roles with JP Morgan in both Los Angeles and San Francisco, and similar positions with several investment banking firms in New York. Chris graduated from Stanford University with a Bachelors in Economics, and earned an MBA from Harvard Business School. He is a member of the Urban Land Institute (ULI), and is an alum and mentor for both Sponsors for Educational Opportunity (SEO) and the Toigo Foundation Fellowship, both of which focus on diversity within Wall Street and the finance industry. Chris resides in Los Angeles with his wife Monica and daughter. In her role as Vice President of Asset Management, Carrie Temple oversees the strategy and day-to-day operations of the property and asset management teams. Carrie brings over 36 years of experience and most recently was the Director of Property Management with Evergreen Development Company. 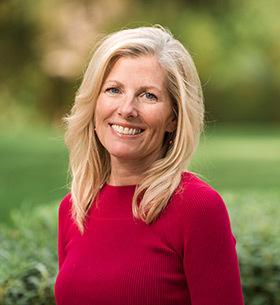 Additionally, Carrie has held senior positions with other prominent real estate development and management companies, as well as launching and running her own successful property management company for almost 14 years, before merging her company into Evergreen. Carrie holds a dual Bachelor of Science in Real Estate and Finance and a Master’s Degree in Business Administration from ASU. She currently serves as the State Government Relations Chair for ICSC, was previously a board member for AZCREW, holds both RPA (BOMA) and CPM (IREM) designations, and is a licensed AZ RE Broker. Cody is responsible for overseeing the accounting, tax, and treasury functions of ViaWest. He held similar responsibilities with other private real estate companies since August 2013. Cody was also an Audit Manager with Deloitte & Touche for 7 years. In this role, he served numerous public and private companies, primarily in the real estate sector. 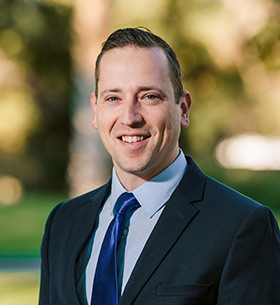 Cody is a certified public accountant and earned a BS in Accountancy and a Masters in Accountancy/Information Systems from Arizona State University. Ron joined The ViaWest Group team as the Director Facilities Management for the Phoenix portfolio. He oversees all Capital and day to day Engineering along with energy efficiencies of the Phoenix properties. Ron has more than 28 years of experience in the engineering, facilities management and construction management fields. Ron comes from an Electrical background, with a 4-year Journeyman license. He holds with BOMA an SMA and SMT, and is also certified Universal in Refrigeration. Prior to working for ViaWest, Ron was over the AZ portfolio for McCarthy Cook & Co. He has also performed due diligence for GIC and spent several years with a publicly traded REIT. He is originally from New Hampshire and now lives in Scottsdale with his wife and two children. Tom leads ViaWest’s ground-up development projects as well as sources investment and development opportunities in strategic markets. He has been involved with the acquisition, disposition, repositioning, and development of over $900 million of commercial real estate totaling more than 8.5 million square feet. Tom identifies key market and economic trends for development and acquisition opportunities. Additionally, his responsibilities include growing capital partner and brokerage community relationships, financial modeling, feasibility studies, due diligence, entitlements, design and construction coordination, lease-up and asset preparation for disposition or on-boarding into ViaWest’s existing portfolio of approximately 5.2 million square feet. Tom earned his B.A. in Economics from the University of Southern California, holds Series 7 and 66 securities licenses and is involved with ULI and NAIOP. Prior to joining ViaWest, he played professional golf. Originally from Colorado Springs, he now lives in Phoenix, AZ with his wife, Melissa. Danny joined The ViaWest Group as the Director of Leasing. 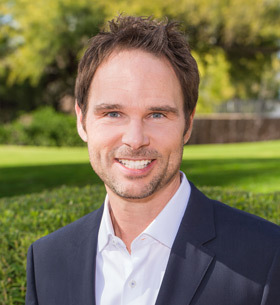 With over 8 years of brokerage/development experience in Phoenix’s commercial real estate market, Danny will primarily focus on the leasing objectives and value add opportunities throughout ViaWest’s owned and managed properties. Danny has been involved in over $750 million of leasing volume and has contributed to well over 10 million square feet of commercial space transacted in his career. A native of Phoenix and a graduate of The University of Arizona, Danny and his wife, Julie, have engrained themselves in the local community and plan to continue building a family here in the valley. Lindsay Bennett joined ViaWest Group in 2018 with a background in public relations, business development and marketing. Her primary role is to connect the company to the market, community, clients and partners who ViaWest serves through written, oral and in person communications and enhance brand recognition and reputation. Lindsay’s enthusiasm, energy and excellent communication skills are ideally suited for this role. 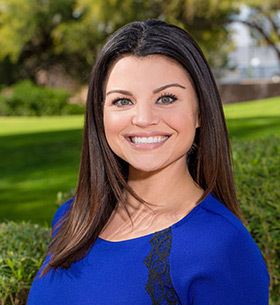 As an Arizona native and graduate of Arizona State University, Lindsay loves getting involved in the local community. Including roles as an NFL liaison for the Super Bowl Host Committee, Co-Chair of the Young Leaders Group of ULI and volunteer at St. Vincent De Paul.